Sanskruthi dolls exhibition organized by Sanskruthi Doll Makers and Crafters Association. 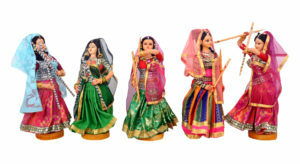 80 women from different parts of India will exhibit their unique and exclusive dolls collection. More than 3000 dolls on display. Till Sep 9. At Maharashtra Nivas, 402 / 219, T.T.K. Road, Alwarpet. A festive sale featuring sarees, dress materials, jewellery and paintings on display. Organised by Rainbow Events. Sept. 9, 10 a.m. At C.P. Art Centre, Eldams, Road, Alwarpet. Banyan Tree presents a thematic classical music festival ’Barkha Ritu’ presenting the beauty of the monsoons in a musical interpretation. Featuring Rahul Sharma (santoor) and vocalist Aruna Sairam. Accompanied by H. N. Bhaskar (violin), N.C. Bhardwaj (mridangam) and Dr. S. Karthick (ghatam). On Sept. 8, 6.30 p.m. At The Music Academy, Alwarpet. Ph: 9223231359. Madras 101 presents Tamil Nadu Visual Arts Festival featuring 15 artists with a focus on recreating past glories of ancestral arts. Includes workshops, film screening, talks, stand-up comedy shows and more. Interact with the masters, learn techniques of craftsmanship, express your artistic skills, own sculptures and artworks, and watch the artists live at work. Sept. 8 to 16, 10 a.m. At Wandering Artist, 51, 6th Main Road, R. A. Puram. Call 9500042435 for details. Artist B.O. Sailesh will hold a masterclass on stencil making and print. Learn the technique of stenciling by learning to design patterns, stencil making, stencil cutting, and pattern printing. On Sept. 14, 6 p.m. At Wandering Artist, 51, 6th Main Road, R. A. Puram. Fees: Rs. 850. Register at: 98401 11425. 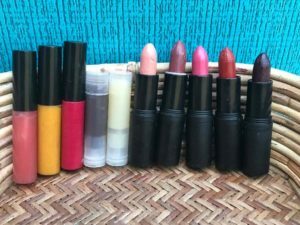 Create handmade natural lipsticks with choices of your own using healthy natural ingredients. Conducted by HAC studio of Coimbatore. On Sept. 9, 9 a.m. At Aavishkaar’s Work Space, C.I.T. Colony, Mylapore. Paid event. Ph: 82704 55450. Learn to master the art of public speaking through an interactive training session by television anchor Gopinath Chandran. Organised by Taalk Shop Academy. On Sept 9, 9.30. At Hotel Savera, Dr. Radhakrishnan Salai, Mylapore. Ph: 48600064. Soup & salad making workshop at Käse, organized by LocalXO. Learn to make cold soup, courgette & mint salad, lemony chickpeas & pickled beetroot salad with grilled halloumi, labneh & zataar salad and more. On Sept. 8, 10.30 a.m. At 47, 3rd street, Abhiramapuram. Ph: 91762 21898. Thaligai restaurant will serve fresh kozhukattai combo on the occasion of Vinayagar Chaturthi. On Sept. 13, 7 a.m. onwards. At Luz Church Road, Luz. Ph: 97912 72888. This entry was posted on Saturday, September 8th, 2018 and is filed under Restaurants, Food fest, Stores, Sales, Shopping, Shopping, Stores. You can follow any responses to this entry through the RSS 2.0 feed. You can skip to the end and leave a response. Pinging is currently not allowed.